There are several options available for playing media, including classic style players and advanced solutions that allow you to edit your content. If you are looking for a solution that provides powerful performance and versatility, Zoom Player is the ideal candidate. 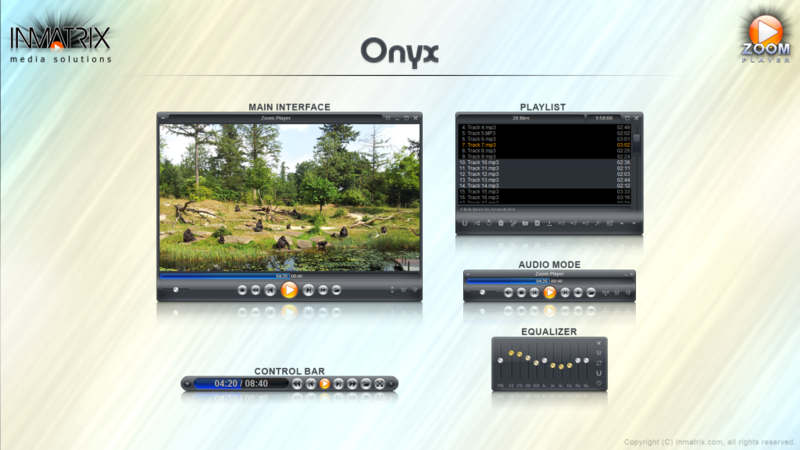 This free media player created by Inmatrix is aimed at users who need support for a wide variety of formats and who seek a more flexible and varied viewing experience. Although it is not the most simple and user-friendly solution to play media, it offers great support and solid advantages. We’ll take a closer look at Zoom Player here. One of the highlights of Zoom Player is the extensive list of formats that it supports. It can be used to play WMV, XVID, DIVX, MOV, FLV, MPEG (1,2,4), MP3, AAC, FLAC, Dolby Digital, OPUS, HEVC, Blu-Ray and many more. While it is only compatible with Windows, Zoom Player offers advanced technology that will allow you to play media instantly and seamlessly. This software is great for playing digital video or audio formats, as well as physical discs. Zoom Player also offers many customization options that will allow you to tailor your media playing experience to your needs. There is a significant number of settings that can be adjusted to make sure that Zoom Player delivers the performance that suits you. Zoom Player offers fullscreen navigation interface that allows you to enjoy an impressive Home Theater experience on your computer. You can also use this feature to be able to browse through your media on your Windows tablet without any hassle. 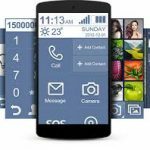 There are hundreds of different options that can be assigned to mouse button, keyboard macros, remote control buttons and more for easy access. The fact that the software can play videos with great quality without taking on a large percentage of your computer’s resources, is another of the main advantages that it offers. You can watch videos and use other applications at the same time, without noticing an impact on the performance of your PC. The player also supports Dolby and DTS audio and it also allows you to enjoy remarkable audio with HD videos. The playback smoothing makes sure that you don’t have to deal with lag and buffering. You can enjoy movies instantly and thanks to the auto-resume playback feature, you can continue watching from where you left off. Zoom Player is not only focused on offering high quality and features that enhance playback, it also takes efficiency into consideration. The built-in power manager is designed to help you to watch videos for longer as it preserves your device’s battery. As mentioned earlier on, Zoom Player also offers the possibility to customize your playback experience. Apart from being able to change the appearance of the player to suit your style, there are other options that give you more flexibility. It is possible to upgrade videos from standard definition to HD, but you can still keep the two versions. With the AB repeat function, you will be able to re-watch any part of the video that you find particularly interesting. This feature shows it again and again for you. Zoom Player also offers a digital zoom that allows you to take a closer look at a video to discover interesting details. With the smart stretching, you can modify the aspect ratio or set it according to your preferences. Inmatrix is known for providing excellent technical supports through a variety of channels. 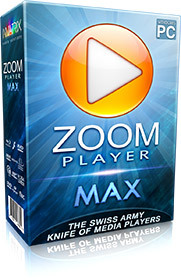 The website offers a clear overview of Zoom Player’s functionality and features. You can also find helpful forums and guides that will help you to understand how the software works. There is also an FAQ section and if you need to get in touch with Inmatrix, you can use the online form on the site. Zoom Player is a great option for Windows users and it offers a good selection of features that will allow you to enjoy videos with great quality. While it may seem complicated at first, you can find excellent guides that will help you to use the player without issues. 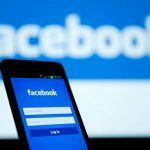 Besides, advanced users will love the diversity of features and the fact that it allows you to play videos while other tasks are running on your computer, without affecting the performance.